This exam is calibrated to mimic the new GRE®. 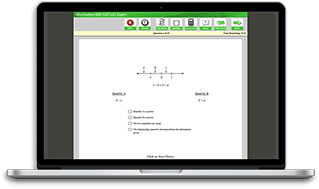 Our aim is to provide you with the most realistic test-taking experience possible, so that you know exactly what you will be facing when you sit down at the computer on test day. Under standard testing conditions, the test takes roughly 3 hours and 30 minutes. Students who want a realistic test-taking experience.